Mrs. Sandoval was first elected to the Little Lake City School District Board of Education in November 2015. Her current term expires in 2020. She is a former student of Lakeside Middle School and a graduate of Santa Fe High School. 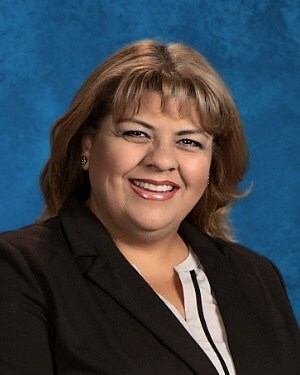 Mrs. Sandoval has served as chairperson of the Lake Center School Site Council (SSC), a member of the Lakeview PTA and SSC, and a member of the District Advisory Council. In addition to her participation in the school district, Mrs. Sandoval's civic contributions include service on the Norwalk Public Safety and Social Services Commissions for the past two years, and involvement in the Soroptimist International of Santa Fe Springs and the Norwalk Lion's Club. She has also offered free assistance to residents in preparing their income tax returns through the Volunteer Income Tax Assistance program in Santa Fe Springs. Mrs. Sandoval is a proud parent of three daughters, one of which is currently attending Little Lake City Schools. 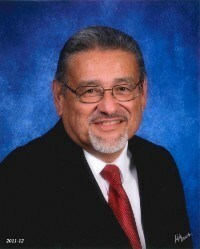 Mr. Martinez was first elected to the Little Lake City School District Board in 1999. His current term expires in 2020. His previous Board experience includes serving as President, Vice President and Clerk. He has been a resident of the District for more than 30 years. His three sons attended Little Lake City schools. Mr. Martinez is currently retired from The Gas Company where he worked for more than 25 years. He has served on the city of Santa Fe Springs Parks and Recreation Advisory Committee, Safe Neighborhood Team, Community Program Committee, and Santa Fe Springs Community Playhouse Board. In 2005 Mr. Martinez and his wife Alma were named Santa Fe Springs Citizens of the Year. He earned his associate’s degree from Cerritos College, and his bachelor’s degree in business administration from the University of La Verne. 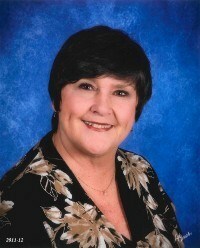 Mrs. Rock was elected to the Little Lake City School District Board in November 2011. Her current term expires in December 2020. Her previous Board experience (2001-2005) includes serving as president and clerk. She has been a resident of the district for over sixty years. In addition to her four adult children, Mrs. Rock's grandchildren have also attended Little Lake schools. Mrs. Rock has served as an instructional material specialist in two school districts, including Little Lake. Among her contributions to the district she notes implementation of a full-day kindergarten, participation in the Annenburg Project, and membership on the School Site Council and Strategic Planning committee. Mrs. Rock earned her associate of arts degree in liberal arts from Rio Hondo Community College following her graduation from St. Paul High School. 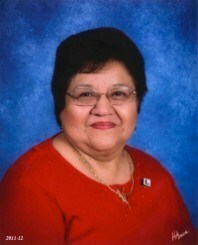 Mrs. Zamora was first appointed to the Little Lake City School District Board in July 2001 to fill a vacancy. She later ran for a Board seat and was elected in November 2001. Her current term expires in 2018. Her previous Board experience included serving as president, vice president, and clerk. She has been a resident of the district for 40 years and all six of her children attended Little Lake City schools, as did her grandchildren. Mrs. Zamora also served on the district’s Bilingual Advisory Council. Mrs. Zamora’s community involvement spans 30 years and includes serving on the city’s Senior Advisory Committee, the Family & Human Advisory Committee, and the Santa Fe Springs Boxing Club. She also served as a city preschool instructional assistant for 26 years.